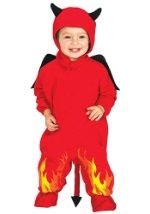 Something wicked this way comes with these cute and devilish, kids Devil costumes. 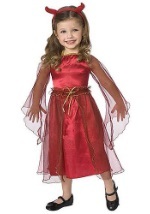 From adorable, little girl-devils to fearsome, demonic boy's costumes, we have plenty of different styles and sizes to satisfy any need. Get a truly classic Halloween costume this holiday season, or try for a unique twist with any of our baby, toddler, child, or teen devil costumes!